Hire Smarter uses groundbreaking psychology and machine learning to replicate your existing top performers. Hire Smarter’s virtual interview is used to analyze your team and evaluate incoming candidates. It measures 11 behavioral styles and ambitions that experts have identified as crucial to sales success. Every sales team has unique products, customers, sales processes, and management. The 11 factors Hire Smarter measures account these differences and more. Every hiring model you’ll ever get is completely unique to your team. What performance metrics do you want to improve? 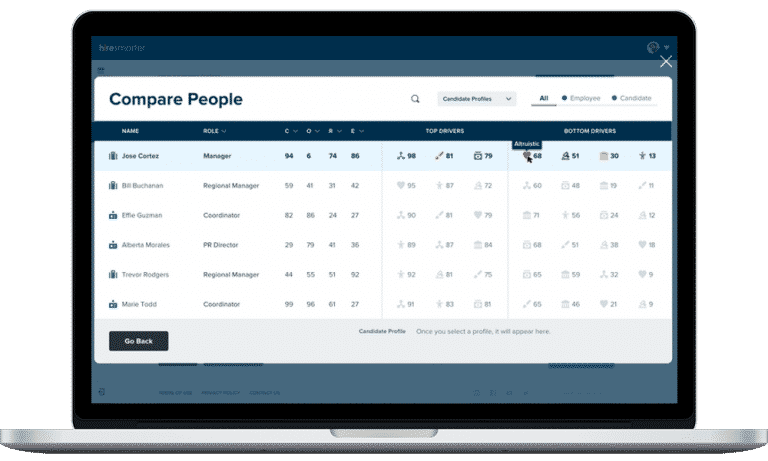 Hire Smarter’s proprietary machine learning detects patterns between team psychology and any KPI. Hiring models can be created to achieve any hiring goal– including performance and tenure. The hiring process is difficult to improve because it’s not very objective. 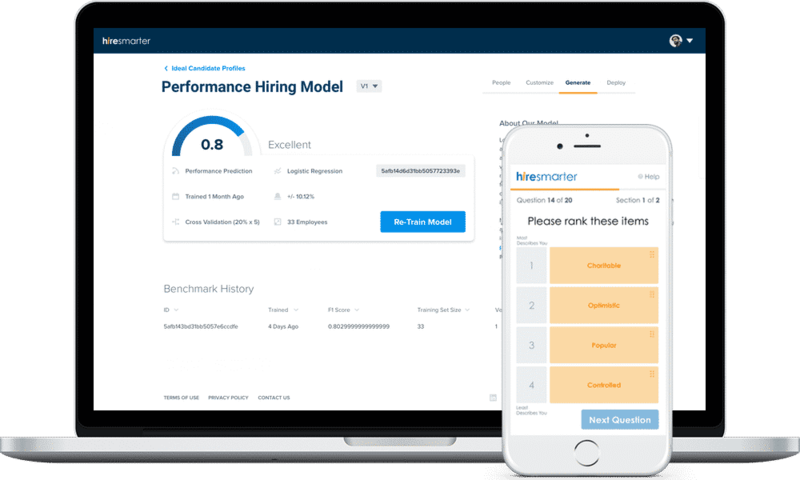 Hire Smarter uses objective data and machine learning to continuously improve hiring models, and account for business-related changes.